Crust: Cream butter sugar and salt until fluffy, add flour. Press dough into bottom of pan. Chill pan while oven preheats to 350. Bake crust 20 min until lightly browned. Cool. Filling: Whisk togethr the eggs, sugar lemon zest,lemon juice and flour. 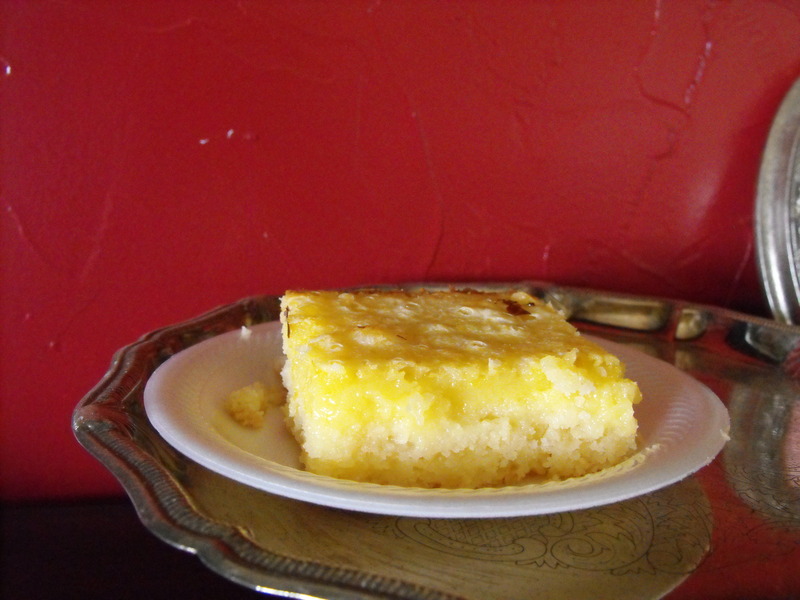 Pour the lemon mixture over the crust and bake for about 35 minutes, until the filling is set. Let coool to room temperature. Lift out of pan if used liner. Cut into squares and dust with confectioners sugar. Store in fridge.